Come Play In Our Backyard! We’re smack dab in the middle of the North Carolina Smoky Mountains and the Blue Ridge Parkway, so prepare yourself for a vacation chock-full of outdoor adventure, cultural delights, farm-to-table restaurants, unique shopping, farmers markets, craft breweries, mountain music and anything else a fun-forward traveler could ever dream of. 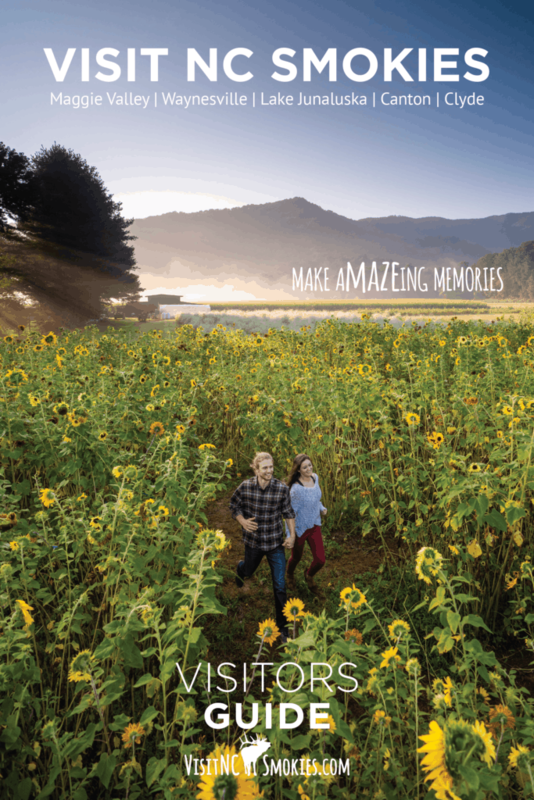 Our Smoky Mountain Visitors Guide even features itineraries for what you can do when you get here. Haywood County, North Carolina, is home to Maggie Valley, Waynesville, Lake Junaluska, Canton and Clyde, and we have countless affordable cabins, hotels and other vacation rentals conveniently located to the Great Smoky Mountains, Blue Ridge Parkway, Pisgah National Forest and Asheville. With charming downtowns, a vibrant farming community and festivals year-round, Haywood County is the perfect place to call home while you explore the mountains and waterfalls of North Carolina! Simply fill out the form to the right to have a complimentary travel guide mailed to your address. Get your Digital Visitors Guide! By checking the boxes above, I consent to receive travel information from Haywood County partners when it is available.